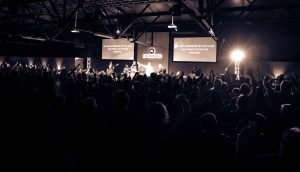 Encounter Christian Church is a 600-seater church based on the second floor of a shopping centre in Centurion, South Africa. While looking for solutions to expand on their current audio system, the church met up with DWR Distribution who recommended Quest and DiGiCo to accommodate the growing ministry and worship team. An additional two HPI8is were installed as out fills to cover the seating area on the sides of the stage. The voicing of the HPI8i is almost identical to the HPI111, so when walking through the church it sounds like a single source as you go from left to right. To keep the floor area clear of equipment, two HPI212S Subs were flown behind the main PA and time aligned within the system. With a vigorous pastor and vibrant worship team, Encounter Church reaches out to young families in the community. “It’s great to know that as the church grows the entire system is capable of growing with them without needing to replace any of the items installed,” ended Robson.